If you're wanting something truly eye-catching for your windows, try this basket-weave treatment. 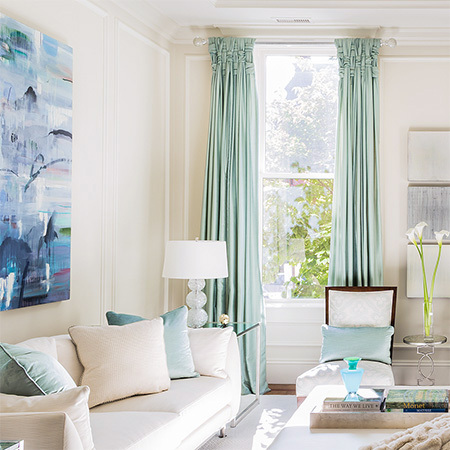 Interior Designer, Leslie Fine, wanted a treatment that would allow the drapes to make a statement in a high-ceilinged room. 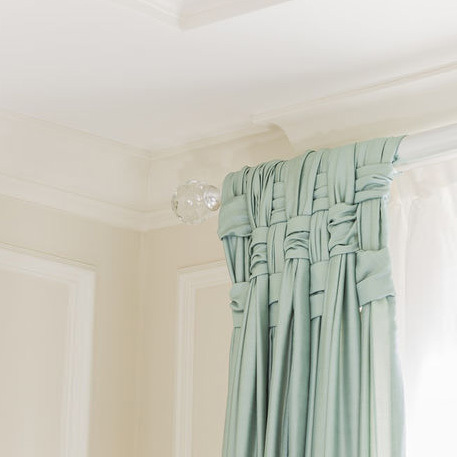 Rather than just hang plain drapery panels, Leslie and her client came up with a very inspiring way to display curtains. 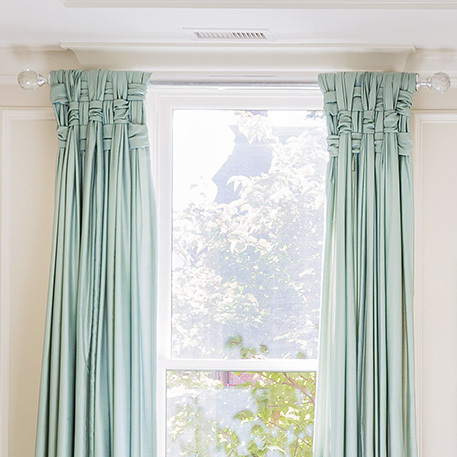 The sheer fabric curtains are woven at the top to frame the window.